First up is the painted faux ombre chevron curtains created by Owen's Olivia. I love that she painted these herself. 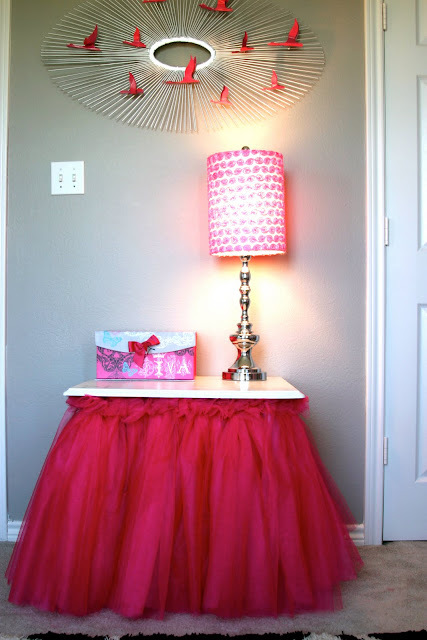 How adorable is this tulle table created by Miss Madison's Charmed Life? So much fun! You know I have a thing for chandeliers and I just love this one that The Turquoise Piano added to her toddler's room. The best thing about it...it was only $49.99 from Home Depot. I'm starting to decorate my home for fall and I was so inspired when I saw this post from Lakeshore Cottage Living. I just love this vignette. I love the tour of the sitting room in the home of House Dressing. Hope you will stop by to check out the rest of the tour. One more thing before we party...don't forget to stop by Family Brings Joy tomorrow for the next stop on Roomspiration...Craft rooms. Judy, Thanks so much for stopping by The Bold Abode and for the invitation to your party! I look forward to getting to know you better. Judy, Thanks so much for the feature, and for hosting such a fun party! Judy, Thank you so much for featuring me. What an honor!! So sweet of you and so glad that you liked my front entrance. Thank you for hosting each week. Thank you so much for featuring me Judy! 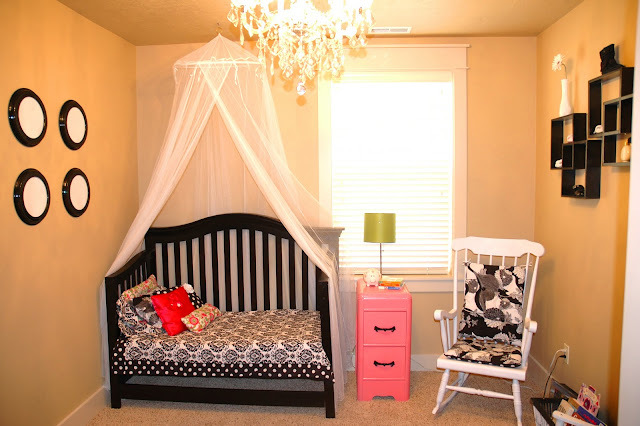 I am loving that tulle table! Thank you for hosting! Terrific features! 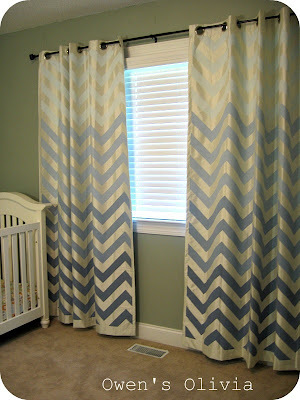 Those chevron drapes are amazing! She did a phenomenal job! Thanks for sharing and for hosting this linkup party each week. Those chevron curtains are TO DIE FOR! Absolutely gorgeous. Thanks for sharing all of the talent out there! Thanks so much for your wonderful feature and the opportunity to share. I look forward to meeting everyong!